Georgians, and those visiting Georgia, will be pleased to know that there will be a few fun dog-related events going on in the next few weeks. There will be a useful lecture on how to deal with fearful dogs, a dog-friendly drinking social, Dachshund racing, dog washing and family fun! This event will be a fundraiser put on by the Liberty Humane Shelter. It is a free event that will go on from 10:00 AM-3:00 PM. This day will start off with a puppy parade, and there will then be contests, dog baths, nail clippings, games, low cost spay/neuter clinics, microchip and rabies clinics. There will be lots of things set up to entertain children, including karaoke, inflatable slides, a bounce house, face painting and games. For adults, there will be a rummage sale and raffle. This weekly dog cocktail hour will go on all summer long on Tuesdays, from 5:00-8:00 PM. One dollar from every martini sold will benefit the Piedmont Park Dog Park. There will be complimentary treats and water for the dogs, and human food available for purchase. The SmallDog Rescue will be holding a dog wash at Red Bandana Pet Food from 11:00 AM-4:00 PM. It is a minimum $10 donation, and the money will go towards needy dogs. This conference will be presented by Nicole Wilde from 9:00 AM-4:30 PM, and it costs $85 to attend, with lunch and snacks included. It will be a workshop with information on how to deal with dogs’ anxiety and fears, and will be full of material through lectures, photographs and video footage. 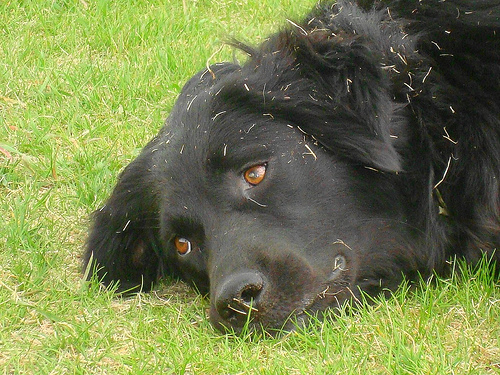 This session will cover topics like how fear manifests, skills to teach dogs, skills owners should know and more. To attend, you must register in advance. 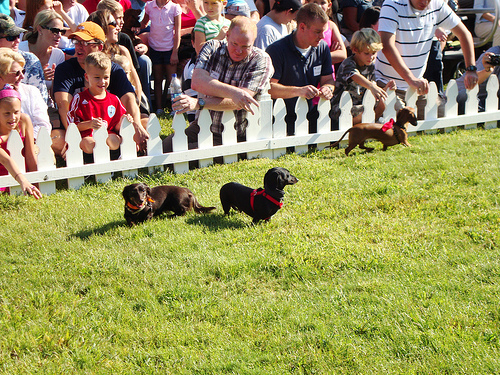 Who doesn’t love wiener races?! The Saturday event will kick off at 11:00 AM with opening ceremonies, and the races will start at noon. On Sunday, the event will open at 1:00 PM, and the race finals will start at 1:30. After the race, there will be costume contests, size and age contests, coat contests and best nose contests. These races cost $3 to attend one day, and $5 for two.